Vietnamese online gadget shop Thegioididong.com has listed the rumored Android running budget phone, code named Nokia Normandy. According to the site, the smartphone (also known as Nokia X) will have a 4-inch display with 854 x 480 resolution, a 1GHz dual-core Qualcomm Snapdragon 200 processor, 512MB of RAM, 4GB of storage, microSD support, 5-megapixel camera and dual SIM support. Interestingly, the listing claims that the phone will run Android 4.4 Kitkat, with support for all Google services. Nothing is certain until the Nokia X becomes official. In my opinion, Nokia and Android is a good combination. I’ve always liked the design of Nokia’s Windows phones, and having Android on it would just be icing. The 4-inch screen is the norm right now for most budget devices, and the 512MB of RAM, although small by today’s standard, might just be enough to run Android Kitkat (via Project Svelte) without a hitch. Anyway, I tried checking the site and it seems the page has been removed. With all the leaks, evidence is suggesting that the phone is real. We’re not sure if this will ever materialize though, as Microsoft is currently in the process of completing its purchase of Nokia’s mobile division. And when that’s done, I’m pretty sure this will remain a rumor. Let us know what you guys think of this. 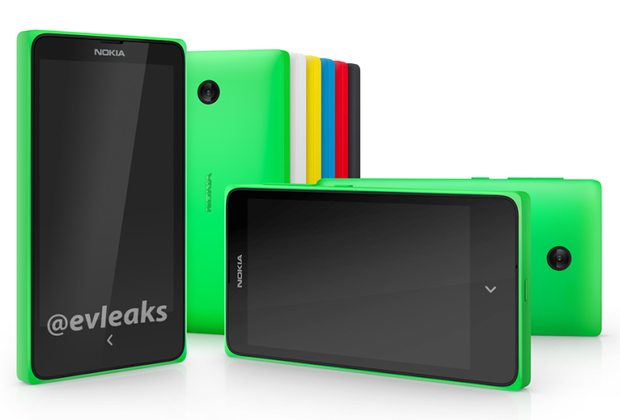 I’m guessing many of us would want the Nokia X released.